Just about any plant could be used in a container. Growth in containers will always be relatively limited but we still put plants in pots as handy herbs or disposable instant colour; as a moveable outdoor feature; to single out favourite plants or protect vulnerable ones; to restrict vigorous ones; or to have a garden where there's no garden bed. When it comes to choosing suitable plants for pots - which can be any of a range of smaller, moveable containers - other criteria are important to narrow the search: some other plant characteristics, types or styles. Design goals are first to match a plant with a pot; and then to match them both to the garden style, the scale and the conditions where the pot will be located. Most plants brought home from a nursery come in a pot and even a larger species could be kept contained if the pot remained big enough to support it. 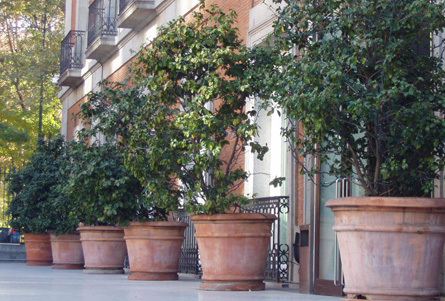 Some plants are suitable for containers but become so big when mature that they're ultimately for large planters only: like built-in raised planter boxes, half wine barrels and large pots too heavy to move easily. 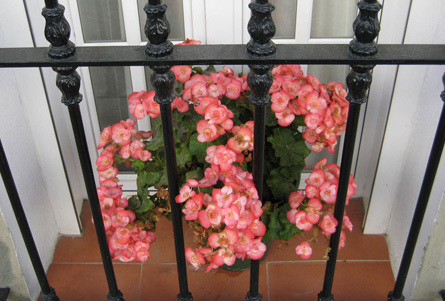 Plants for window boxes differ in that their containers are generally limited in size by their location. They're highly visible and need to put on a show or they're turned over regularly with the seasons. Their elevated position is a good opportunity to grow trailing plants. 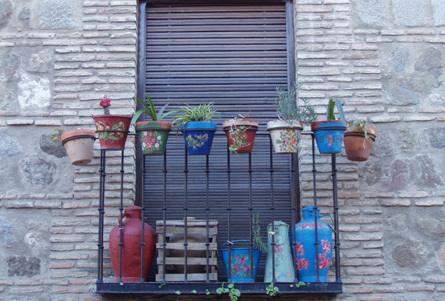 Hanging baskets - as with pots suspended on a wall or off a balcony - are also limited by their size and weight. These containers and plants are exposed to especially high air circulation so the plants need to be resistant to or protected from those drying conditions. 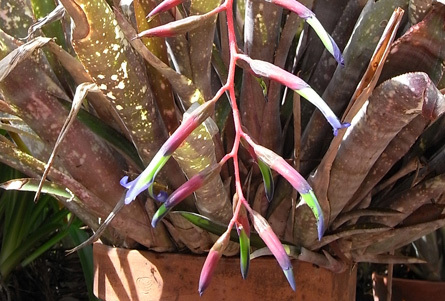 Plants with a trailing or arching habit or nodding flowers are showcased where they can be looked up at from below. Use the Plant This Plant Selector to track down container plants for your house or garden. Aim to match a plant with a pot and then to match them both to the garden style, the scale and the conditions where the pot will be located.